"The Resurrection" by Paolo della Francesca is housed in the museum of his home town, Sansepolcro in Tuscany. It is a striking painting, the figures almost life size, Christ emergent from his tomb, three guards asleep, a fourth covers his eyes, as if knowing what is unfolding and unable to look. Being unable to look seems an appropriate response to the unfolding moment when death is rolled back into its place as a transient moment between life and Life and sin, the capacity to miss the mark of our being, is no more. Humanity is on target, once more, the divine image being realised as divine likeness, all being restored to one. That is the gift of it, the freedom of it, yet we slumber on or refuse to look and receive. 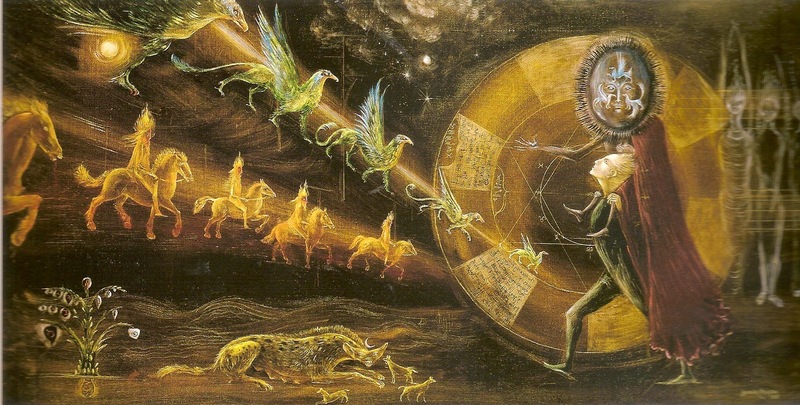 Having finished 'Leonora', a novel based on the life of the artist and writer, Leonora Carrington, by Elena Poniatowska, I came away ever more deeply both captivated by the beauty and complexity of her work (that I have been looking at, in parallel, to the unfolding narrative) and by her story. I had known that she had found herself incarcerated in an asylum in Spain during the Second World War but I had never caught both the intensity of her descent into derangement nor the horrors of her treatment. It was an inferno of suffering where the relative brevity of the timeframe is wholly irrelevant. Its waves flowed on in her life, always threatening to upset its hard won stability. That it did not is testimony to her sheer resilience, key friendships, motherhood and her persistent, necessary vocation. It was a beautiful and informative walk through the cosmological imagination of diverse cultures, exploring how we have envisaged our place within a meaningful order and how we have depicted it in story, image, artefact. You journey through the vast spaces of Buddhist, Hindu and Jain universes (and in the Hindu case, cycles of universes) or find yourself with the Haida (in the Pacific North West of the Americas) telling stories of a trickster raven whose antics bring forth key components of the world both necessary such as light or useful as in weaving. 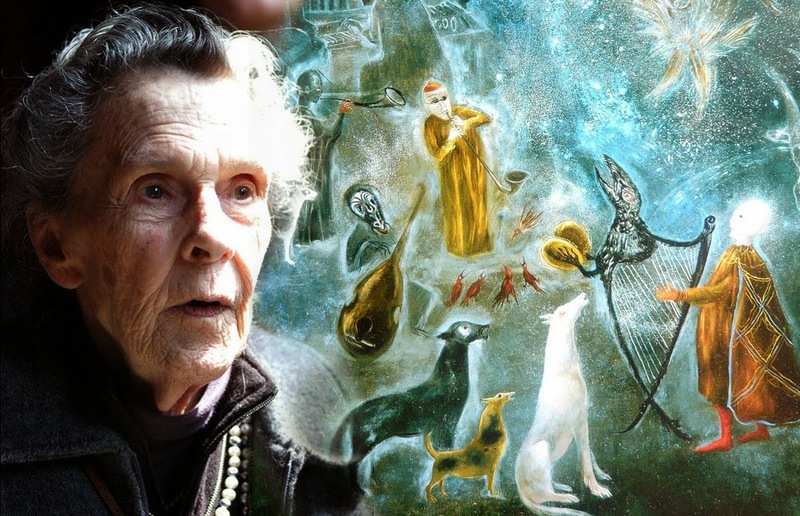 'Leonora' is a novel based on the life of the artist and writer, Leonora Carrington, written by Elena Poniatowska, a friend of Carrington's for more than fifty years. It is, at the outset, a wonderful performance that tells the life of a 'cuckoo' born in a (very comfortable) nest not her own. A highly privileged and wealthy family acquire an only daughter (of four) who is highly imaginative, directly perceptive and gloriously unpredictable. I was ten, once again on holiday in Cornwall, and I had come, one weekday, to my favourite spot - Polruan Castle. In truth, it was a ruined tower, on the edge of this fishing village, from which a boom had been swung in the sixteenth century, across the Fowey estuary, to keep the Spanish out. I spent hours their playing, wrapped in a solitary happiness. Reading Duncan Green's excellent blog on development http://oxfamblogs.org/fp2p/what-to-do-about-inequality-shrinking-wages-and-the-perils-of-ppps-a-conversation-with-kaushik-basu-world-bank-chief-economist/ today, I was reminded of the perils of economic determinism. This curious affliction not only infects the world's shrinking number of Marxists but also the practitioners of the more 'classical' versions of that dismal pseudo-science. I am sometimes tempted to think that a century hence, if we blunder our way through to a happier world, that we will look back on economics as we now are presumed to do on 'astrology' or 'alchemy' - except I think that the predictive power of the former and the spiritual richness of the latter both outstrip any offering of the peculiar modern priesthood that is comprised of economists. (I am deeply comforted that they never appear in Star Trek or indeed in any imaginative, peaceable view of the future I can think of). 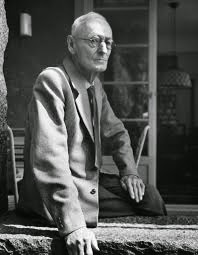 Bernhard Zeller wrote his biography of Hermann Hesse before Hesse became an icon of Sixties' counter culture when, had he lived, Hesse's mailbag would be swollen even further. By the end of his life, Hesse's principal preoccupation, served diligently, was responding to his correspondents, many of them young, that had sprung up in the post Second World War era. When I was ten, I discovered there were people called 'atheists'. I was surprised. How was it possible that people could not be touched by presence, presence that enfolded and gifted the world and addressed you, drawing you on into meaning. They were, obviously, using now a word I did not know then, 'obtuse'! Also they required you apparently to believe (or not) in God. God was not a question of belief. I did not believe that the fabric of the breakfast table furniture bench was blue nor that my parents loved me. They both simply (or complexly) were part of the fabric of reality just as that fabric was woven on the weft of God's presence. I was reminded of this reading Kenneth Paul Kramer's 'Martin Buber's I and Thou: Practicing Living Dialogue', one of a series of books where Kramer explicates and makes practical the thinking and spirituality of this great, Jewish, teacher. This book focuses on the meaning and purpose of his seminal text. The New Year resolution has long since been forgotten and the 'postperson', on their fab tricycle, has kept feeding my habit for books. Today, as opposed to yesterday's one, there were three! I wish I could say that they were reflective of a disciplined and focused mind; however, as usual they reflect my dispersed interests - though if you stare hard enough you can trace a common thread (or two or three). Karl Kraus, the Austrian intellectual, satirist and 'anti-journalist' confessed that over Hitler he had nothing to say because satire has its limits and when the 'reality' has appeared to step over the bounds of the known into the 'surreal' (and potentially terrifying), it falls silent as there is nothing to exaggerate to illuminating or humorous effect. Kraus did not live to see his intuition completed, dying in 1936, he saw neither the annexation of his homeland nor the fate of the Jews, a fate, that as a Jew, he would have shared.